Here’s a review of MLB Draftees in 2018 with Local ties. By Local, I mean any player that either went to high school or college anywhere in DC, MD or VA.
We posted earlier about all the marquee names in the area who may get draft notice; almost all of them went undrafted this year and so lots of colleges are getting VA and MD based kids heading to school. Chicago Cubs: the Cubs took four Virginia-tied players in the top 10 picks and a fifth later on. New York Yankees: took four locally-tied players in this draft, three between the 8th and 13th rounds. Arizona took three VA-tied players, including a flier on Zach Hess in the later rounds after he so precipitously fell. There are several high schoolers in the DC/MD/VA area with commits to major colleges who went completely un-drafted, surprising me. Stephen Pelli (UNC commit), Cade Huntgate (Florida State), Will Schroeder (also UNC), Kody Milton (UMD), Tyler Casagrande (Vanderbilt), Jacob Steinberg (Miami), and Ryan Archibald (Arizona). This list includes both the Virginia and Maryland Gatorade players of the year for 2018, normally guys who are getting significant draft attention. Its kind of a down year for prep players in the area. We didn’t see a DC/MD/VA prep player even picked until the 18th round, and then just a handful of others with throw-away mid-30th round picks. Here’s a full table of all locally tied kids drafted this year. Will Zack Hess get drafted or will he go back for another year of college? Photo via 247sports. Here’s one of the longer-running drafts in my system; I first created this post in July of 2015 and its now ready for publication just in time for tonight’s draft. This is a quick guide to possible draft prospects with local ties. Its kind of a “down” year for DC area prospects … with just a couple of UVA players (who are from elsewhere) getting 1st or 2nd round buzz this year. This post has turned mostly into a list of “good” local kids, a few of which may get drafted. The College players are mostly drawn from my 2015 Local High School draft coverage, listing guys who were HS seniors in 2015 who went to 3-year programs and who are now draft eligible. From that time frame, here’s the 2015 pre-season list and then the Post-Draft/post-signing coverage from 2015. Pop-up guys plus non-MD/VA native players playing at MD/VA colleges are added as they become serious draft prospects. 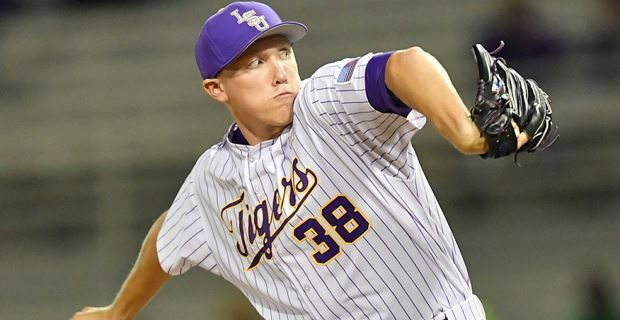 Zack Hess, RHP from LSU by way of Liberty Christian Academy; will be a draft-eligible sophomore and is already making noise early in the 2017 season as LSU’s mid-week starter. 2nd team all-american Freshman. Standout in the 2017 CWS, with announcers gushing over his stuff (95-96 fastball with movement, power curve). 2nd team 2018 collegiate pre-season All American. Jake McCarthy, OF UVA. 2nd team 2018 collegiate pre-season All American. Daniel Lynch, LHP UVA: has come on strong and put himself into 2nd round consideration. Nick Dunn, inf U Maryland: may be a 3rd/4th rounder. (Also includes juniors not drafted in 2017, which will all be round 7-10 under-slot fodder, too many to name here). DC/MD/VA Local Prep players for 2018; it is definitely a down year for local prep prospects; we may not see many drafted from the DC area, if any. Also, my apologies if i’ve got the college commits wrong; these things change all the time and I didn’t have time to look everyone up in perfectgame.org. Kody Milton, 1B from Severna Park HS. Honorable All-Met in 2015 as a freshman. Evoshield Canes 16-U for 2016. Early commit to Maryland. All-Met 2017 as a junior. Anne-Arundal county POTY 2017 as a junior. PGNationals 2017. Evoshield National 17U summer/WWBA 2017. Baltimore Sun All-Metro player of the year in 2017 as a junior. 3rd team All American ABCA in 2017 as junior. Will Schroeder, RHP/SS from Loudoun County HS. 2016 Conference 21B Player of the Year, Region 4A West All-Region first team and 2016 VHSL 4A All-State first team as a sophomore. Loudoun County POTY for 2016 as a sophomore. Stars 16U for summer 2016. All PBR DC/VA team 2016. WWBA with Stars baseball 2017 as a junior. Early commit to UNC. PGNationals 2017. Stars 17U Red at WWBA 2017. Cristian Sanchez, RHP/MIF from Paul VI via Centreville. WWBA with Stars baseball 2017 as a junior. Stars 17U Red at WWBA 2017. Early commit to Alabama, now UVA. Wilson Ayers, RHP for Briar Woods. VHSL All-state 5A as a junior in 2017. Early commit to Navy. Stars 17U Red at WWBA 2017. Jacob Steinberg RHP St. Johns in DC. 2nd team 2016 American Family All-DC as sophomore. Early commit to Miami. Diamond Skills Dodgers at 2016 Marietta/Cobb. Evoshield Canes National 17-U team summer of 2017. Brooks Bengston, OF from Georgetown Prep. Evoshield 17U National team for WWBA 2017, High Point commit. Joe Seidler, RHP Chesapeake AA. 2nd-team All-Met 2016 as a sophomore, 1st team All-Met in 2017 as a junior. Playing summer ball for Mid-Atlantic Red Sox. All-Anne-Arundal 2017 as junior. Baltimore All-Metro 2017 as a junior. Carter Bosch, RHP from the Potomac School. All-Met 2017 as a junior. All PBR Virginia state finalist as a junior in 2017. D-bat Elite summer team. Trendon Craig, OF from DeMatha. All-Met 2017 as a junior. Perfect Game profile has him graduating 2019 though and attending Riverdale Baptist. Logan Cooper, OF for Loudoun Valley. 2016 Region 4A West All-Region first team as a sophomore. 2016 VHSL 4A All-State second team as a sophomore. All Loudoun County 2016. No PG profile. Jake Nielsen: RHP from Madison HS in Vienna. 2017 pitcher of the year and 6-A all region as a junior. Son of former Madison star from the late 1980s Mike Nielsen, my former some-times teammate. Eric Lingenbach, SS from Oakton HS. 2017 6-A all-region as a junior, huge walk-off homer to win the 6A title for Oakton. Jose Rivera, SS from Riverdale Baptist. 2nd-team All-Met as jr in 2017. Stars baseball summer team. Corey Rosier, util from Riverdale Baptist. 2nd-team All-Met as jr in 2017. Brady Pearre, RHP from Poolesville. 2nd-team All-Met as jr in 2017. John Eames OF Langley. 6-A North all-region honorable mention in 2016. 1st team all-region as a Junior. 2nd team all 6A State as a junior in 2017. Flynn Hopkins OF Robinson. First-team 6A Conference 5 and 6-A North all-region honorable mention in 2016. Jimmy Baumstark RHP Osbourn Park. First-team 6A Conference 8 and 6-A North all-region honorable mention in 2016 as a sophomore. Justin Taylor, SS Flint Hill. First team all-VISAA Division I in 2016 as a sophomore. Matt Thomas, 3B Lake Braddock: Second-team 6A Conference 7 selection in 2016 as a sophomore. Jack Weeks. Paul VI Catholic (formerly of Herndon HS). Starter for VISAA-I state finalist in 2016 as a sophomore. Extended DC/MD/VA Prep players (outside DC Area) on the radar. Adam Hackenberg, C from the Miller School (was Fork Union HS). First team all-VISAA Division I in 2016 as a sophomore. All PBR DC/VA team 2016. #50 on Keith Law’s top 100 draft prospects. Committed to Clemson. Ryan Archibald 3B from John Carroll HS in Churchville. PGNationals 2017. Evoshields 17U National summer team for WWBA 2017. Early commit to UMaryland, now committed to Arizona. Gatorade MD player of the year 2018. Cade Huntgate, RHP/SS for Abingdon. Evoshield Canes 16-U 2016, Committed to Florida State. Gatorade VA player of the year 2018. Jack Dragum, RHP Hanover (Richmond). Starter as a sophomore on great 2016 team. Evoshield Canes 16-U 2016. Early commit to UVA. Evoshield 17U team at 2016 Marietta/Cobb. All-Richmond 2017 as junior. Evoshield National 17-U summer 2017. Wesley Clarke, C with Liberty Christian Academy. 2016 Region 4A West All-Region second team as a sophomore. All PBR DC/VA team 2016. Evoshield National 17U team for WWBA 2017. South Carolina commit. Stephen Pelli, RHP for St. Marys in Arnold, Maryland. Evoshield Canes 16-U 2016. Evoshield National 17U for WWBA 2017. PGNationals 2017. Early commit to Virginia Tech, now North Carolina. Matt Sykes, LHP/OF from the Miller School in Richmond. Evoshields 17U National summer team for WWBA 2017. Tevin Tucker, SS from Prince George HS in Prince George VA. Virginia Cardinals 16-U for 2016. Second team VHSL all 5A in 2016 as a sophomore. All-Richmond 2017 as junior. Early WVU commit. Nick Zona, SS from Hanover in Mechanicsburg/Richmond. At Area Code Games 2017, the SOLE DC/MD/VA kid there. Early commit to JMU. Clay Lloyd, C with Halifax. VHSL 1st team all State 5A as a junior. Zach Thomas SS with Eastern View HS: VHSL 1st team all State 4A as a junior. Tristan McDonough, RHP from Decatur HS. PGNationals 2017. Early commit to Miami?? Connor Butler, 2B/SS from Western Branch. All 6A South in 2017 as a junior. Tidewater Orioles summer team. All 6A Virginia State in 2017 as a junior. Jon Sawyer, RHP /OF for Atlantic Shores Christian. All Tidewater 2017 as junior, early commit to ODU. Cam Nolet, RHP from St. Marys. Anne-Arundal county POTY 2017 as a junior. Austin Gault, OF Poquoson, Soph. 3-A East all-region 1st team in 2016. Gage Williams, RHP Nansemond River. Starter on excellent 2016 team as a sophomore. Cory O’Shea, ? position on Mills Godwin. Starter on excellent 2016 team as a sophomore. Scott McDonough: ? position on Mills Godwin. Starter on excellent 2016 team as a sophomore. John Kish, RHP for Cosby. Starter on excellent 2016 team as a sophomore. Ethan Williams, C for Cosby. Starter on excellent 2016 team as a sophomore. Tyler Bailey, INF/RHP for Thomas Dale in Chester (Richmond), VA. Virginia Cardinals 16-U for 2016. Tucker Bushby, OF/LHP for James River in Midlothian (Richmond), VA. Virginia Cardinals 16-U for 2016. Wes Glass, 1b/LHP for Riverside HS in Leesburg VA. Virginia Cardinals 16-U for 2016. Michael Peterson, OF from Prince George HS in Prince George VA. Virginia Cardinals 16-U for 2016. Scooter Ray, C Manchester HS in Chesterfield, VA. Virginia Cardinals 16-U for 2016. Gregory Ryan, SS Benedictine HS in North Chesterfield, VA. Virginia Cardinals 16-U for 2016. Early commit to Pittsburgh. Tomas Sanchez, OF from Dinwiddie. 2016 VHSL 4A All-State first team as a sophomore. All PBR DC/VA team 2016. Cole Harness, 1B from Eastside HS. First team VHSL all 1A in 2016 as a sophomore. Jacob Council, OF from Windsor HS. First team VHSL all 1A in 2016 as a sophomore. Tanner Bailey, OF from Fort Chiswall HS. First team VHSL all 1A in 2016 as a sophomore. Jonathan Walton, 1B from Prince George HS. First team VHSL all 5A in 2016 as a sophomore. Thomas Francisco, 2b from Abington HS. First team VHSL all 3A West Region and all 3-A state in 2016 as a sophomore. All PBR DC/VA team 2016. Nic Kent, INF, St. Anne’s-Belfield (Charlottesville) . American Family 2016 2nd team All-Virginia as a sophomore. Chance Davis, Inf Fort Chiswell, All PBR DC/VA team 2016. Kris Artis, RHP from Grandby HS in Norfolk. All 6A South in 2017 as a junior, 2nd team All 6A State in 2017. Early commit to ODU. Ty Hanchy, C from Grandby HS in Norfolk. 2nd team All 6A South in 2017 as a junior. Xavier Anderson, OF from Grandby HS in Norfolk. 2nd team All 6A South in 2017 as a junior. Shane Stinard, OF from Cox HS in Va Beach. 2nd team All 6A South in 2017 as a junior. Andrew Melnyk, LHP from Kellam HS in Va Beach. 2nd team All 6A South in 2017 as a junior. Skylar Petry, RHP from James RIver HS in Richmond. 2nd team All 6A South in 2017 as a junior. Ethan Williams, C from Cosby HS in Moseley/Richmond. 2nd team All 6A South in 2017 as a junior. Evoshields Mid-Atlantic summer team. James Deloatch, OF from Grandby HS in Norfolk. 2nd team All 6A South in 2017 as a junior. Pearce Bucher, 3B from Sherando. 2nd team all VHSL 4A as a junior in 2017. Maxwell Costes, Inf from Gilman. Baltimore All-Metro 2017 as a junior. A.J. Holcomb, OF from Loyola-Blakefield. Baltimore All-Metro 2017 as a junior, early commit to Va Tech. Austin Koehn, RHP from Patterson Mill. Baltimore All-Metro 2017 as a junior. J.P. Murphy, OF from Calvert hall. Baltimore All-Metro 2017 as a junior, early commit to High Point. All-Region teams in 2016, looking for Sophomores (rare); see 2016 All-area post for all 2016 all-region team links. All-Region teams for 2017, looking for Juniors: see all 2017 post-season honor links at NovaBaseballMagazine.com. 2016 Evoshield 16-U roster, looking for DC/MD/VA guys. 2016 Virginia Cardinals 16-U roster, looking for featured guys at PBR. VHSL All-State teams for 2016, looking for sophomores. NovaBaseballMagazine’s Nova Nine for 2016, specifically their all Sophomore list for Northern Virginia. 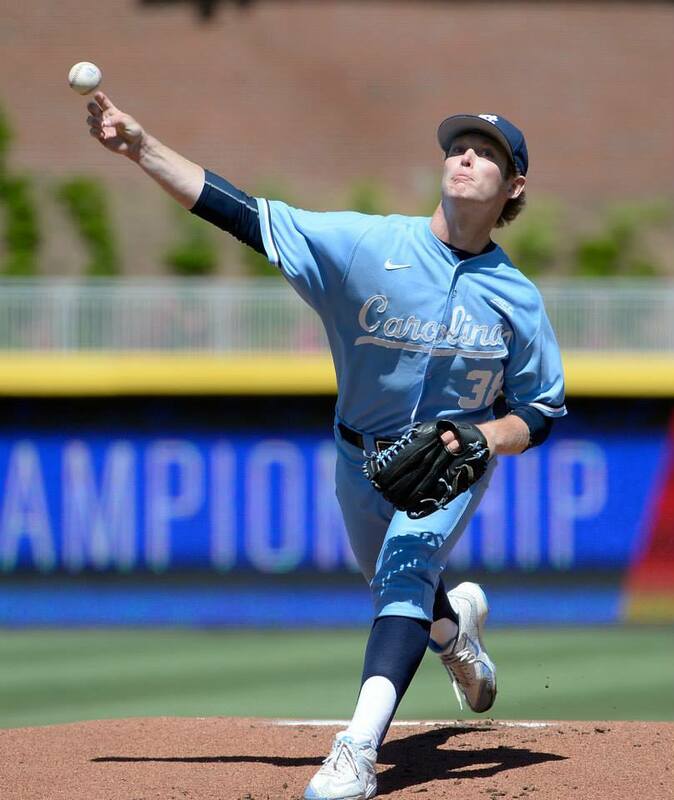 D1baseball’s way too early 2018 draft preview for Collegiate players. 2017 WP All-Met team looking for juniors. 2017 All Anne-Arundel county, looking for juniors. 2017 Richmond times Dispatch all-Metro team looking for Juniors. VHSL All-State players of the Year for 2017, looking for juniors. Stars 17u Red roster/WWBA team roster. Went undefeated and was #3 seed in playoffs but upset round of 64. Baltimore Sun All-Metro 2017 team. Congrats to Wilson, both public and city champs! #6: my theoretical “All DC/MD/VA Dream tournament” pairings, once all the state champs are finalized. Virginal district tournaments start up on 5/16/18 and regionals start up on 5/23/18. All local district playoff brackets are well kept at NovaBaseballmagazine.com. A reminder that there was some slight re-alignment from last year; regional powerhouse Madison was moved out of the Liberty district for the first time in decades, now joins the strong Concorde division with some bigger schools. There are now mixed conferences, splitting teams up that were formerly 4A, 5A and 6A. Plus there does not seem to be the old “Northern” and “NorthWest” regions. Just 7 mixed-division districts for the whole upper area of the state. In a first in my memory, 7 straight days of rain forced organizers to literally abandon playoff games and just hand out district titles. Cardinal (mostly 6-A): #1 Potomac, #2 Forest Park, Forest Park won the title over Potomac after both being handed rain-out passes to the final. Cedar Run (6-A): the two top seeds (#1 Battlefield and #2 Patriot) and frequent rivals advanced to the final … which was rained out and cancelled, giving Battlefield the title. Commonwealth (mostly 5-A): #1 Mountain View and #2 Stafford were given passes to regionals as the entire post-season tournament was cancelled. Concorde District (6-A): #1 Madison, #2 Centreville; Madison beat Chantilly in the final for its 6th straight district title. Dulles (4-A): #1 Riverside, #2 Woodgrove; semis scheduled for 5/23/18 weather permitting. Gunston District (6-A): #1 West Potomac, #2 T.C. Williams, who lost to #3 Annandale setting up a 5/18/18 final. Liberty (6-A): #4 seed Yorktown won the play-in then crushed #1 seeded McLean to advance to the final versus #2 South Lakes. Yorktown took the title in an upset to secure a bye in the regionals. National (mostly 5-A): #1 Marshall faces off against #3 Edison for the title. Marshall destroyed Edison for the title and got an “at-large” bid into the 6-A regional tourney. Northwest (6-A): #1 Fauquier and #2 Sherando; playoffs not scheduled to occur til the 5/25/18 weekend. Patriot (6-A): #1 Lake Braddock faces off versus #2 West Springfield in a battle of perennial powers, with LB (perhaps the area’s top public team) winning. Potomac (5-A): #1 Freedom-South Riding and #2 Stone Bridge; final 5/25/18. We’ll cover the Regional brackets once all the teams are qualified for their respective divisions. At this point, the Maryland State tournament is nearly complete; the state finals are this coming weekend. Brackets here at the MPSAA website and direct links to the four State-wide brackets are linked directly below. Maryland 4-A: Regional champs Howard, Bethesda-Chevy Chase, CH Flowers, and Severna Park face off for the state title. Maryland 3-A: Regional champs Towson, Thomas Johnson, Huntingtown and Chesapeake-Anne Arundel face off for the state title. Maryland 2-A: Regional champs Hereford, Century, North East and power-house La Plata face off for the state title. Maryland 1-A: Regional champs Sparrows Point (a favorite), Boonsboro, McDonough and defending state champ St. Michaels face off for the state title. DCIAA: (2018 playoff bracket): Wilson won its 26th consecutive DCIAA championship 5-0 over School Without Walls on 5/10/18. This is perhaps not even the most startling stat about Wilson right now. The went 11-0 in conference play, outscoring their opponents 168-1. That’s right; they gave up one run in league play all year. Deadspin featured the school and did some more research into its past; their piece is worth a read. DCSAA: (2018 Playoff Bracket): the DCSAA tourney runs from 5/16 to 5/20. Wilson is the #1 seed and advanced to the final against #2 seeded St. Albans (the IAC champ). There, on 5/22/18, for the first time in its history, Wilson won the DC “state” title, beating St. Albans in extra innings. They’ve won 26 straight public school titles but had never won the city title until now. Division A: play started on 5/11/18: Archbishop Curley, John Carroll, Calvert Hall, Loyola, Archbishop Spalding and Gilman the 6 entrants. Loyola the defending state champ. In the final, #1 seeded Curley beat #6 Gilman. Division B: play started on 5/11/18. Mostly smaller private schools around the state of Maryland; powerhouse Boy’s Latin #1 seed. In the end, Boy’s Latin won its 3rd straight title. Division I: The Potomac School (#8 seed) lost its play-in game and was eliminated early. Local teams Paul VI (#3) and Flint Hill (#6) faced off in the quarters on 5/15/18. and Paul VI came out on top, ending Flint Hill’s season without any titles. All the other schools are from Richmond or Norfolk areas, including the top seeded St. Christopher’s and Benedictine. #2 seed Benedictine was upset by #7 Norfolk Academy, and #5 Collegiate upset #4 Norfolk Christian to setup some unexpected semis. In the final, the dominant St. Christophers team took the title. Division II: no DC-area schools: the Miller school (coached by former MLB pitcher, Virginia native and HoFame candidate Billy Wagner) and Highland School are the top seeds. Powerhouse #4 seed Greenbriar Christian was upset in the first round. Miller faced off against Steward in the final, and ended up winning to repeat as champs. Division III: no DC-area schools: Walsingham and Southampton academies are the top seeds. In the end, Walsingham beat the Fuqua School 6-5 on a walk-off SB-error in the bottom of the 10th. Maryland Private School Tournament; tbd: it did not seem to occur in 2017, we’ll see for 2018. WCAC: DeMatha ousted #1 seed Paul VI to face off against WCAC power St. Johns for the title. The title series went to the decisive third game, which went 12-innings and ended with a walk-off homer win for St. Johns. This is St. John’s fifth straight WCAC title. MAC: The Potomac School walked-off against St. James in a surprise final; MAC powerhouse Flint Hill was upset early. PVAC: (difficult to find information). Washington Post All Met Sports Area top-10 ranking (5/7/18): Riverdale Baptist has been the clear #1 all year; it has been a down year for traditional NoVa powers. Final HS Post of the 2017 year. #3: Virginia State Champions crowned . Covers: VA state tourneys, recaps MD, DC, Private School results. Publishes mid-June once the Va state tourney wraps up. #4: Players of the Year/All-State lists and final rankings (this post); publishes early July once all the all-state lists are published. We have finally passed all the “All-Everything” lists start getting published. Here’s my tracker of them. I try to note the player of the year in each case. If i’m missing something, please let me know. I’ve put results in red that I either cannot find or are behind a paywall or seem to have been discontinued. I realize this is kind of anti-climactic at this point; lots of these players mentioned were drafted weeks ago and may already be playing. But it takes some of these orgs til late June/early July to announce. Maryland: Harold Cortijo, RHP/OF from Riverdale Baptist. Committed to play at Seminole State, drafted in the 14th round by the New York Yankees; signed on 6/18/17. Washington DC: Jack Roberts, RHP/SS from St. Johns. Committed to play at Elon. Undrafted. Virginia: Andrew Abbott, LHP from Halifax County HS. Committed to play for UVA. Drafted in 36th round by the New York Yankees; likely to go to school. Louisville Slugger All-Americans: not sure if being named any longer. National High School Coaches Association (NHSCA) All Mid Atlantic Region: can’t find a link but has apparently been named as per MaxPreps bios on Cortijo and Abbott. Baseball America High School All-Americans: named 6/27/17. Jordon Adell National player of the year. No DC/MD/VA players on any of the 1st, 2nd or 3rd team this year. USA Today/American Family All-USA teams. named 6/13/17. Jordon Adell National player of the year. Harold Cortijo named to 3rd team All-USA. American Baseball Coaches Association (ABCA)/Rawlings High School All Americans: named 6/22/17. MacKenzie Gore POTY. Danny Hosley from Langley and Kody Milton from Severna Park named to 3rd team. Collegiate Baseball High School All-Americans: named 6/16/17: Tanner Burns is POTY. Jose Rivera, Harold Cortijo, and Andrew Abbott named. Washington Post All-Met teams: Announced 6/9/17. Harold Cortijo, RHP/OF from Riverdale Baptist is All Met player of the year. The Baltimore Sun’s All-Metro Team: Announced 6/25/17. Kody Milton a Jr. 3B from Severna Park, is POTY. Early commit to UMaryland. Richmond Times-Dispatch All-Metro Team: announced 6/27/17. Evan Justice– Collegiate School, a LHP from Richmond committed to NC State. Virginian Pilot All-Tidewater team: Hunter Gregory, DH/RHP from Hickory is the POTY. Committed to ODU. Virginia All 6-A South Regional team: Austin Cabone from Cox and Hunter Vay a Catcher from Thomas Vale co-players of the year. Cabone is commited to George Mason, Vay to Virginia Commonwealth/VCU. Virginia All 5-A North Regional team: Andrew Abbott, LHP from Halifax County HS player of the year. Virginia All 5-A South Regional team: certainly named, cannot find link. Virginia All 4A West Regional team: Will Merriken OF from Kettle Run player of the year. Committed to Roanoke College. Virginia All 3A East Regional team: Daniel Brooks SS from Spotsylvania player of the year. Committed to GMU. NovaBaseballMagazine Nova-NINE: Michael Ludowig is the Northern Virginia player of the year; Wake Forest commit. 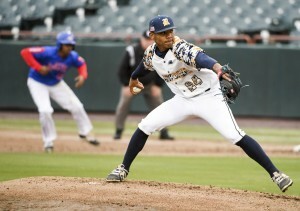 PrepBaseballReport All Maryland Team: Harold Cortijo, RHP/OF from Riverdale Baptist is POTY. PrepBaseballReport All Virginia/DC Team: Andrew Abbott, LHP from Halifax County HS is POTY. 6-A: Austin Cabone RHP from Cox is player of the year. GMU commit. 5-A: Andrew Abbott, LHP from Halifax County HS is Player of the Year, UVA commit. 3-A: Justin Showalter, RHP from Turner Ashby, is POTY. JMU commit. 2-A: Hunter Brown OF from John Battle HS is POTY. ? commit. All MAC 2017: no POTY named; if you asked me I’d probably go Carter Bosch, P/SS from the Potomac School, who was All-Met 1st team as a junior. All IAC 2017: Randy Bednar, SS from Landon is IAC POTY. Committed to UMaryland. If I missed an award, or if you know of something I don’t, don’t hesitate to post. Hello all. I’ve been slacking on local high school and college coverage this season, partly because there’s not nearly as exciting of a class as last year (when the DC area had two guys picked in the first three rounds in Joe Rizzo and Khalil Lee, in addition to a HS all-american in Zach Hess down at Liberty Christian). But here’s a quick review of my 2017 Local Draft Prospect list. By “local” I generally mean anyone from DC, MD or VA, with a focus on DC-Metro kids. This list has essentially turned into a massive “Best players from the area” list, with mention given to nearly every kid who has shown up on an accolades list in the last couple of years. Only a few of the prep kids are going to get drafted, but it is interesting to me to track where they’re going to school. Lots of these college commitments may be out of date; an early commit often turns into a rejection once college coaches see how their recruiting classes gel. So if I have a kid wrong, my apologies and let me know in the comments. This list started with my 2014 Local High School draft coverage, listing guys who were HS seniors in 2014 who went to 3-year programs and who are now eligible. Since we’ve augmented it with locally tied guys who have put themselves into draft positions by virtue of collegiate or summer league performances. I separate “major prospects” from the lower list in that these guys have usually gotten some sort of national press, top-100 list type of press, and are good bets all to get drafted in the first 5-6 rounds this coming June. The first few names are all being talked about as potential 1st rounders or 2nd rounders. “Jacob” J.B. Bukauskus, RHP from UNC by way of Stone Bridge HS in Ashburn. A 2014 HS All American who chose to go to college. Spent 2016 as UNC’s saturday starter and blew up to the tune of a 13 K/9 rate his sophomore year. Projecting now as an upper 1st rounder. 2016 Collegiate National Team and briefly in the Cape. Projecting as possible top-10 pick. 2017 Pre-Season Collegiate Baseball All-American 2nd team. Pavin Smith is a big lefty 1B/OF at UVA; he has been a significant member of the UVA lineup during his career. All-League Cape Cod league summer of 2016. Projecting as possible end-of-1st rounder. 2017 Pre-Season Collegiate Baseball All-American 2nd team, fantastic 2017 season now has him projecting as a possible top-10 pick. Adam Haseley, OF/RHP from UVA. Great on the mound for UVA in 2016, worked solely in the field in Cape Cod League 2016. Projecting now as 2nd rounder. 2017 Pre-Season Collegiate Baseball All-American 2nd team. Like his teammate, Haseley’s 2017 season has put him in the upper first round territory. Kevin Smith, INF From Maryland. Cape Cod league summer standout of 2016, being named MVP of the final and All-League. Projecting now as 2nd rounder. Tyler Johnson RHP from South Carolina by way of Trinity Episcopal, Richmond. 8th/9th inning reliever for SC as a sophomore. 2016 Collegiate National Team. Projecting as 3rd/4th rounder. Ernie Clement, 2b/SS from UVA. All League Cape Cod league summer of 2016. Big Cape showing now pushing his draft stock way up; possible 3rd rounder. Hunter Williams LHP from UNC by way of Cosby HS in Chesterfield, VA. A mid-week starter in 2016, may move into the weekend rotation for 2017. Cape Cod league summer of 2016, where he posted a 1.10 era. Cape showing pushing him into 4th round discussions. 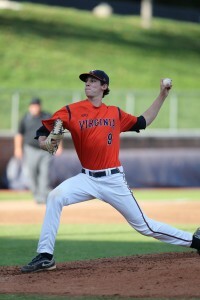 Tommy Doyle, RHP at UVA by way of Flint Hill HS (hometown: Vienna). Began 2016 as UVA’s Sunday starter, converted to be their closer by season’s end. Nick Feight, C UNC-Wilmington by way of Battlefield HS in Haymarket: Multiple All-american honors as a sophomore in 2016. Cape Cod league summer of 2016. 2016 Collegiate National Team invitee. 2017 Pre-Season Collegiate Baseball All-American 1st team. This list is defined as “lesser” prospects in that they’re not getting “first few rounds” publicity, but seem like in most cases draft candidates. I don’t mean to imply that “lesser” means they’re any less of a player; they’re just not getting “J.B. Bukauskas” hype. I’d guess most every name on this list will get called in June, some in the 6-8th round, perhaps others down in the 15-25th round range. Some may opt to forgo the draft bonus they’re offered and return for their senior season. Some are almost guaranteed to return thanks to injury or circumstance, but they’re all draft eligible this year. Sam Donko, RHP (closer) from VCU. 2017 Pre-Season Collegiate Baseball All-American 1st team. Cullen Large, 2B from W&M. 2017 Pre-Season Collegiate Baseball All-American 3rd team. Packy Naughton, RHP Virginia Tech. All League Cape Code 2016, giving him some helium as potential 5th rounder. Brian Shaffer, RHP at Maryland; on d1Bsaeball’s top 100 draft prospects lists, came out of nowhere. Zach Rutherford, 2b/SS from ODU by way of Western Branch HS in Chesapeake VA. Undrafted as a junior in 2016. All-League Cape Cod league summer of 2016, which put him into 4th-5th round discussions. 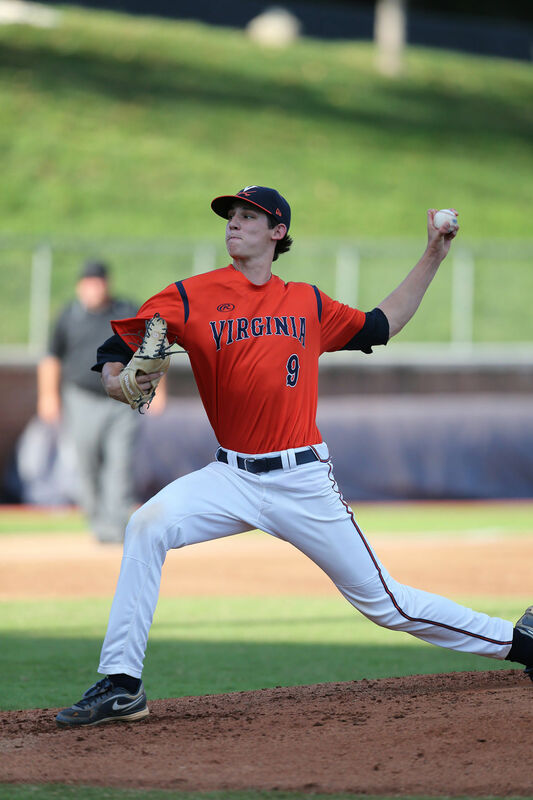 Derek Casey, RHP from UVA by way of Hanover HS (Mechanicsville). Underwent Tommy John surgery early in his sophomore year and never appeared his junior year, so likely returns to school to be a 4th year junior draftee in 2017. However he’s draft eligible in 2017 and, if he has a great return season, he could put himself back in the conversation. Taylor Lane, a shortstop from Chesapeake, transferred to IMG academy for college, went to Florida, transferred to Northwest Florida State and having a good 2016 season leading off for them. Charlie Cody 3B from UVA by way of Great Bridge HS in Chesapeake. Not starting as a sophomore; more of a super sub. Jeff “Junior” Harding went to Cambridge-South Dorchester here locally. He went to South Carolina, transferred to Chipola College in Florida, got drafted by KC in the 20th round last year. I’m not entirely sure if he signed; he may either be in KC’s system or be draft eligible again in 2016. Update: he got drafted again in 2017, in the 17th round, so no he didn’t sign last year. Brodie Leftridge is an OF at U Tennessee by way of Highland MD/St. John’s HS in DC. Part-time player at UT his sophomore year. Hunter Taylor, a C at South Carolina by way of Nandua HS in Olney, VA. Has barely played in 2016. Bennett Sousa is a LHP from UVA; 2016 bullpen member, limited use. Zach Clinton is a RHP from Liberty U by way of Liberty Christian HS. He’s not on their active stat sheet but still seems to be on the roster; I cannot tell where he is these days. Zack Hopeck, RHP from Coastal Carolina by way of Heritage HS in Leesburg. Mid-week starter for CCU as a sophomore during their CWS run. Canaan Cropper RHP from South Carolina by way of Salisbury HS. Minimal action as a sophomore. Nick Brown: RHP William & Mary by way of Patriot HS in Gainesville, VA. Undrafted as a junior in 2016. Cape Cod league summer of 2016. Logan Farrar: VCU by way of Woodbridge HS. Undrafted as a junior in 2016. Cape Cod league summer of 2016. Ryan Selmer, RHP from Maryland by way of Riverdale Baptist HS (lives in Beltsville, MD). Cape Cod league summer of 2016. Robert Metz, 2b/SS from George Washington by way of Poolesville HS. Undrafted as a junior in 2016. Cape Cod league summer of 2016. Gavin Sheets, 1B from Wake Forest by way of Gilman HS in Lutherville, MD. Cape Cod league summer of 2016. Nicholas Dunn, INF from Maryland. Cape Cod league summer of 2016. Kyle Adams, C from Richmond. Undrafted as a junior in 2016. Cape Cod league summer of 2016. Joseph Freiday, C from Virginia Tech. Undrafted as a junior in 2016. Cape Cod league summer of 2016. D.J. Artis, OF from Liberty. Cape Cod league summer of 2016. Chase Pinder, OF from Clemson by way of Poquoson HS. Cape Cod league summer of 2016. Hit 11 homers playing CF in sophomore year; could be a draft board riser. Peter Soloman, RHP from Notre Dame by way of Mt. St. Josephs HS in Ellicott City, MD. Cape Cod league summer of 2016. Jason Morgan, RHP from UNC by way of Chancellor HS in Fredericksburg, VA. Cape Cod league summer of 2016. Sam Sinnen, RHP from ODU by way of Kellam HS in Norfolk. Cape Cod league summer of 2016. DC/MD/VA Local Prep players for 2017. It seems like its a “down” year for local prep players, especially compared to 2016 w/ Rizzo/Lee, but there’s still some very good prep players in the area. I’m sure we’ll see some draft fliers on some of the names towards the top of this list. Its tough to keep track of college commitments and I depend mostly on perfectgame.org, so if I have something wrong here definitely pipe up in the comments. Kyle Whitten, RHP/1B from Osbourn Park in Manassas, VA. WWBA 2015 with Team Stars, 2016 Evoshield 17-U team. At the USA Baseball 18U national trials in June 2016 (and made 40-man roster). Early commit to UVA. Evoshield 17U team at 2016 Marietta/Cobb. PBR Class of 2017 top 10. Tyler Solomon, C/1B from Battlefield HS in Haymarket, VA. 2015 WWBA Team Evoshield 17-U, 2016 All 6-A North Region 2nd team. 2016 Evoshield 17-U team. At PG National 2016. At the USA Baseball 18U national trials in June 2016. Early commit to Vanderbilt. Evoshield 17U team at 2016 Marietta/Cobb. All PBR DC/VA team 2016. PBR Class of 2017 top 10. Area Code Games 2016. WWBA 2016 with Evoshield. Austine Jeremy Arocho, SS from Old Mill HS in Glen Burnie, MD. 2015 WWBA Team Evoshield 17-U, 2016 Evoshield 17-U team. At PG National 2016. 18U National team trials. Evoshield 17U team at 2016 Marietta/Cobb. Area Code Games 2016. WWBA 2016 with Evoshield. Was early commit to Maryland, Now committed to Northwest Florida State College. Anthony Simonelli RHP from Millbrook in Winchester, VA. WWBA 2015 with Team Stars. All 4A West 2016 as a junior. VHSL 4A 2nd team all-state as a junior. At PG National 2016. Early commit to Coastal Carolina. Stars 17u Reds at 2016 Marietta/Cobb. All PBR DC/VA team 2016. PBR Class of 2017 top 10. WWBA with Stars baseball 2017. Michael Ludowig, OF from Briar Woods. 2016 All-5A North Region as a junior. Evoshield Canes 16-U team 2016, early commit to Wake Forest. Evoshield Mid-Atlantic 17U team at 2016 Marietta/Cobb. PBR Class of 2017 top 10. Connor Hartigan, OF from Millbrook in Winchester, VA. WWBA 2015 with Team Stars. All 4A West 2016 as a junior. VHSL 4A 2nd team all-state as a junior. At PG National 2016. Stars 17u Reds at 2016 Marietta/Cobb. Was Early commit to Coastal Carolina, now committed to University of South Carolina-Sumter. Harold Cortijo, OF/RHP from Riverdale Baptist. 2016 all-Met as a junior. 2016 American Family All-Maryland 1st team as a junior. No summer team. Early commit to Seminole State College of Florida. Huge 2017 put him on the map as Maryland gatorade player of the year. Randy Bednar LHP from Landon by way of Bethesda MD, early commit to Maryland. 2015 All-Met as a *sophomore*. Will Liverpool, RHP from Mclean HS in McLean, VA. WWBA 2015 with Team Stars. Early commit to West Virginia. Christian Pitura, SS/OF from Chantilly in Fairfax, VA. 2015 WWBA with Virginia Cardinals. No college commitment yet but looking at a slew of virginia schools. Brett Boggs, OF Battlefield HS from Haymarket, VA. 2016 All 6-A North Region and all 6-A State. No summer team, early commit to VMI. Isaak Lyons Utility Player West Springfield HS. 2016 All 6-A North Region 2nd team. Stars summer 2016, just committed to GMU. Ryan Miles, inf/RHP from Woodbridge, Richmond Braves 2016 team, just committed to GMU. Jake Williams Pitcher West Springfield HS. 2016 All 6-A North Region 2nd team. No summer team, no college commitment. James Price RHP Patriot HS in Bristow, VA. 2016 Stars. Committed to GMU. Evan Antonellis, SS from Potomac HS in Woodbridge. 2016 All 5-A North region 1st team. 2016 All-5A State. 2nd-team All-Met 2016. No perfectgame.org profile. Will Merriken, LHP from Kettle Run. #1 Starter on 2016 state semifinalist team. Justin Pearson, LHP from Mountain View. #3 starter on 2016 state semifinalist team. Raffy Baumgarner, Util from Bulliss. 2nd-team All-Met 2016. Sam Ewald, ? position Kettle Run. All 4A West 2016 as a junior. Josh Simon, OF St. Johns in DC. American Family 2016 1st team All-DC as a junior. Toma Shigaki-Than, RHP Oakton HS. Stars Showcase Baseball 17U at PG nationals 2016. Committed to Duke. WWBA with Stars baseball 2017. Extended DC/MD/VA Prep players (outside DC Area) on the radar. Most of these players are south of here, from Richmond or the Tidewater area. There’s good baseball down south. Matt Cooper, C/1B from Norfolk Academy. 2016 VISAA Division I all-state. 2016 Evoshield 17-U team. At PG National 2016. Early commit to Clemson. 2nd Team all-Tidewater 2016 as a junior. American Family 2016 1st team All-Virginia as a junior. Evoshield 17U team at 2016 Marietta/Cobb. All PBR DC/VA team 2016. PBR Class of 2017 top 10. Area Code Games 2016. Tanner Morris, MIF from St Anne’s-Belfield HS/Miller School of Albemarle. 2015 WWBA Team Evoshield 17-U, VISAA A All-State 2016. 2016 VISAA Division II all-state. 2016 Evoshield 17-U team. At PG National 2016. Early commit to UVA. American Family 2016 1st team All-Virginia as a junior. Evoshield 17U team at 2016 Marietta/Cobb. All PBR DC/VA team 2016. PBR Class of 2017 top 10. Area Code Games 2016. WWBA 2016 with Evoshield. BA Top 100 list #78 (only local player on list). Hunter “Will” Perdue, RHP/1B from Grassfield HS in Chesapeake, VA. 2015 WWBA with Richmond Braves, early commit to UVA. 2nd Team all-Tidewater 2016 as a junior. American Family 2016 1st team All-Virginia as a junior. Richmond Braves 17u Jones at 2016 Marietta/Cobb. PBR Class of 2017 top 10. WWBA 2016 with Evoshield. Andrew Abbott, LHP from Halifax County HS in Nathalie, VA . 2015 WWBA Team Evoshield. 2016 Evoshield 17-U team. 2016 All-5A North Region as a junior. 2016 All-5A State. Early commit to UVA. Evoshield 17U team at 2016 Marietta/Cobb. PBR Class of 2017 top 10. WWBA 2016 with Evoshield. Mikey Polansky, 1b/3B from Hickory HS. 2016 Evoshield 17-U team. VHSL 2016 2nd team All-5A State as a junior. Early commit to Virginia Tech. 2nd Team all-Tidewater 2016 as a junior. Evoshield 17U team at 2016 Marietta/Cobb. PBR Class of 2017 top 10. WWBA 2016 with Evoshield. Eric Stock, SS from Greenbrier Christian. PBR Class of 2017 top 10. Early commit to ODU. Brandon Dorsey, 3B from Calvert Hall HS in Mount Airy, MD. At PG National 2016. Early commit to UNC. Ethan Gallagher, OF from Mount St. Josephs HS in Catonsville. At PG National 2016. Early commit to Wake Forest. Nolan Caler, MIF from Hanover HS in Mechanicsville, VA. 2015 WWBA with Virginia Cardinals. Virginia Cardinals summer of 2016. Hunter Cochrane RHP/1B from Glen Allen HS in Glen Allen, VA. 2015 WWBA with Virginia Cardinals. Virginia Cardinals summer of 2016. Committed to Hampden-Sydney College. Eli Ottinger, RHP from Benedictine HS, Glen Allen, VA. 2015 WWBA with Virginia Cardinals. 2016 VISAA Division I all-state. Virginia Cardinals summer of 2016. 2nd-team 2016 all Richmond metro as a junior. Josh Pittman, RHP/MIF from Highland School in Elkwood, VA. 2015 WWBA with Virginia Cardinals. 2016 VISAA Division II all-state. Virginia Cardinals summer of 2016. All PBR DC/VA team 2016. Timmy Stephan, ? position from Highland School in Elkwood, VA. 2016 VISAA Division II all-state. Callaway Sigler, OF from Deep Run HS in Glen Allen, VA. 2015 WWBA with Virginia Cardinals. Virginia Cardinals summer of 2016. William “Will” Simon, 1B/RHP from Benedictine HS, Richmond, VA. 2015 WWBA with Virginia Cardinals. 2016 VISAA Division I all-state. Early commit to URichmond. Evan Justice, RHP from Collegiate School. 2016 VISAA Division I all-state. 2nd-team 2016 all Richmond metro as a junior. All PBR DC/VA team 2016. Daniel Brooks, RHP Spotsylvania. 3-A East all-region 1st team in 2016.
RJ Payne, 1B William Monroe. 1st team 3-A Wast all-region and all-state in 2016. All PBR DC/VA team 2016. Cole Jackson, Util Poquoson. 3-A East all-region 1st team in 2016. Chin Moss, SS First Colonial. All 6-A south region 2016. All-Tidewater 2016 as a junior. Pearce Howard OF, Liberty Christian Academy. All 4A West 2016 as a junior. VHSL 4A 2nd team all-state as a junior. Noah Cook, MIF Liberty Christian Academy. Starters on great 2016 team. Early commit to VMI. Junior Devine, RHP from Jamestown (Williamsburg). #2 starter on great 2016 team. Michael Schmidt, ? position from Jamestown (Williamsburg). #2 starter on great 2016 team. Jarrid Johnson, ? position from Nansemond River. Starter on good 2016 team. Harrison Moncure, RHP for Mills Godwin. Starter on good 2016 team. Cale Agee, 2B from Louisa. 4A East All-Region 2016 as a junior. VHSL 4A all-state as a junior. Aaron Robinson, C from Monacan. 4A East All-Region 2016 as a junior. VHSL 4A 2nd team all-state as a junior. Virginia Cardinals summer of 2016. 2nd-team 2016 all Richmond metro as a junior. Matthew Culbreath, 3B from Dinwiddie. 4A East All-Region 2016 as a junior. VHSL 4A 2nd team all-state as a junior. Matt Carter, Util from Caroline HS. 4A East All-Region 2016 as a junior. VHSL 4A 2nd team all-state as a junior. Matt Pinson, RHP from Maggie Walker HS. VHSL 2A player of the year as a junior. 2nd-team 2016 all Richmond metro as a junior. All PBR DC/VA team 2016. Hunter Gregory, RHP from Hickory HS. VHSL 2016 2nd team All-5A State as a junior. All-Tidewater 2016 as a junior. Tyler Knapp, Util from Menchville HS. VHSL 2016 2nd team All-5A State as a junior. Riley Clifford, 2b/SS from First Colonial HS. All-Tidewater 2016 as a junior. Rufus Hurdle, OF from Western Branch HS. All-Tidewater 2016 as a junior. All 6-A South Region and all 6-A State as a junior. Hogan Brown, OF from Cox. 2nd Team all-Tidewater 2016 as a junior. Alec Giles, OF from First Colonial. 2nd Team all-Tidewater 2016 as a junior. Dalton Jackson, 1B from Great Bridge. 2nd Team all-Tidewater 2016 as a junior. Logan Barker, 2B from Colonial Forge. First team All 6-A south region 2016, 1st team All 6-A State as a junior. Evoshield North 17U team at 2016 Marietta/Cobb. Early commit to Marshall U. All PBR DC/VA team 2016. Carson Stanley, util from Rustburg. 1st team 3-A Wast all-region and all-state in 2016. Grant Burleson, inf from Parkside HS in Salisbury. 2016 American Family All-Maryland 2nd team as a junior. Evoshield Mid-Atlantic 17U team at 2016 Marietta/Cobb. Early commit to Maryland. Austin Smallwood, ? from Eastside HS. All PBR DC/VA team 2016. WP’s 2015 All-Met announcement, identifying sophomores making the list. All of the 2016 all-area team announcements (All-Met, all-state, all-american, etc), looking for juniors. Evoshield 17-U Roster for the 2015 WWBAs, looking at class of 2017 guys. Evoshield Canes main Roster for the 2015 WWBAs, looking at class of 2017 guys. Stars Baseball Marucci Prime roster for 2015 WWBAs, looking at class of 2017 guys. Virginia Cardinals Roster for 2015 WWBAs, looking at class of 2017 guys. Evoshield 17-U roster for 2016 Summer season, looking for juniors/class of 2017 guys. Evoshield Mid-Atlantic, North Rosters for 2016 Summer season, looking for juniors/class of 2017 guys. Dirtbags 2016 Roster looking for southern Virginia guys. 18U USA Baseball National team Trials Rosters. 2016 Summer Cape Cod rosters. 2016 Collegiate National team roster alternate link here. 2016 WWBA Marietta/Cobb rosters for travel teams. D1Baseball’s Cape Cod prospect review 2016 season and All-League Cape Code 2016 teams. PG WWBA Worlds rosters Oct 2016. D1Baseball top 100 College prospects for 2017 draft, and their top 350 list to boot.